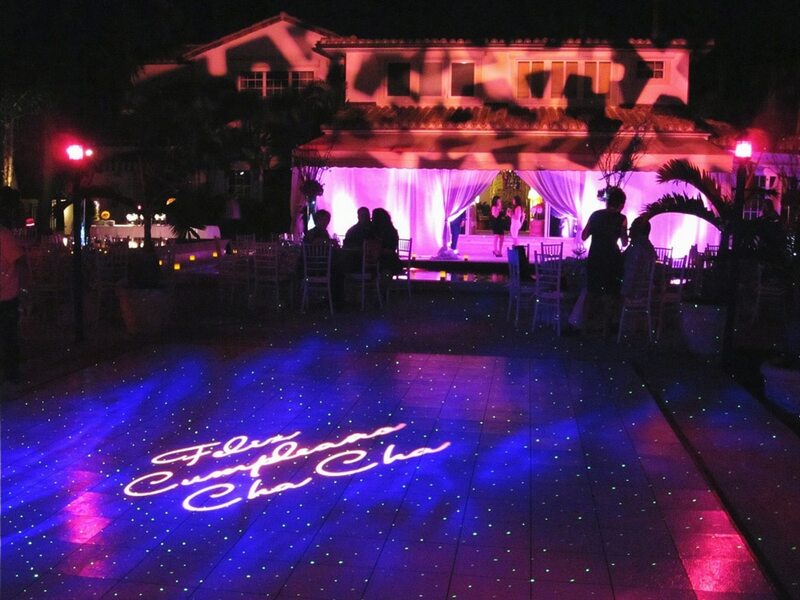 We offer everything from elegant ambient uplighting and stylish monogram projections such as (your initials and or any design, projected onto the dance floor or any wall) to powerful energy producing robotic dance floor intelligent lighting. We can transform simple beige walls and venues into elegant social events, creating moods with color washes, drapery, images and Bistro lighting to create the perfect ambiance for every gathering from weddings to corporate to galas. Transform your next event by taking it to the next level with our custom Uplights that will add splashes of color to the walls of your venue & TOTALLY change the feel of your room! We only use wireless Uplights for a nice, clean, cable free look & to insure the safety of all of your guests. 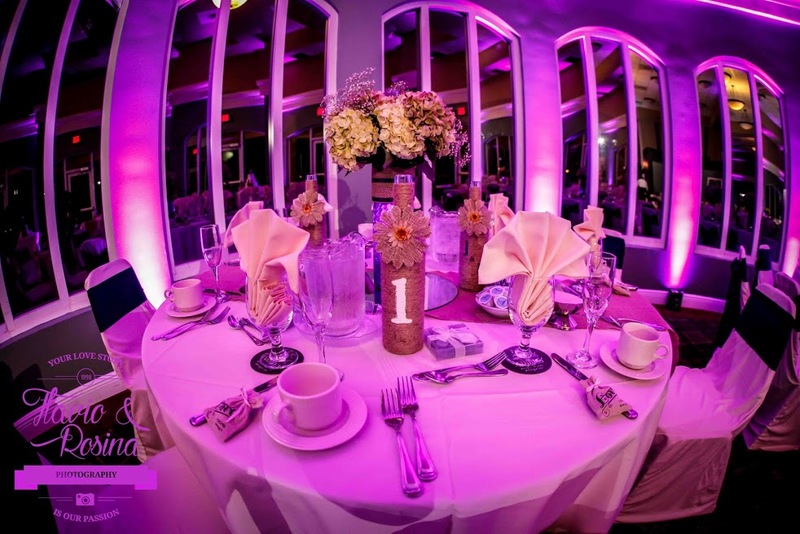 We can set the Uplights to just about any shade of any color to match your theme & or decor! Add a special touch to your dance floor, ceiling & or wall by allowing us to project your names, wedding date, initials, company logo or any design of your choice! This type of lighting is a great way to make important details of your event really stand out! These spotlights can easily highlight center pieces, floral arrangements, cakes & other scenic elements with an array of rich, natural looking light. Our Pinspot Lighting is also wireless for a nice, clean, cable free look. 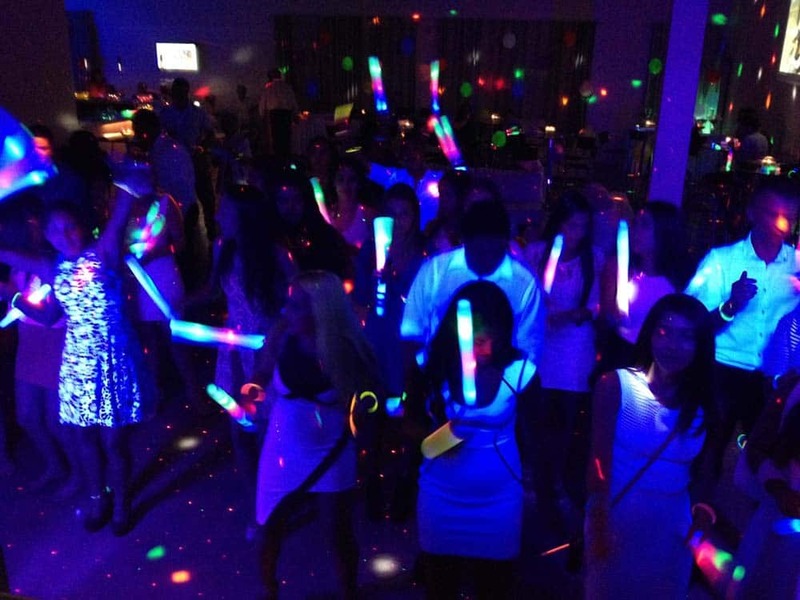 We also offer UV Lighting (also known as Black Lights), Intelligent Lighting, Freedom Sticks, Laser Lighting. 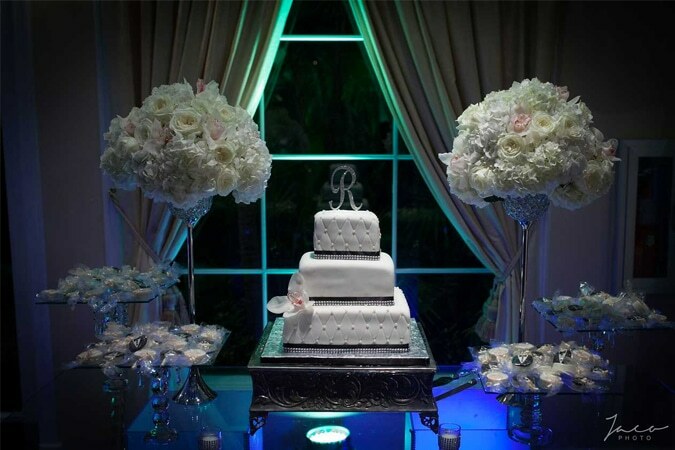 Allow us to educate you & make you familiar with all of your options when it comes to all of our different types of lighting, so that you can make the right choice for your event, don’t forget to ask us about our Dry Ice Machine (to give the “Dancing in the Clouds” effect on the dance floor). Let us do all of the work & you get all of the compliments!